The title (which means: different from different) 2012 was one of the first songs of freshly baked executive music producer Moritz Grabosch and singer Janine Hoffmann. 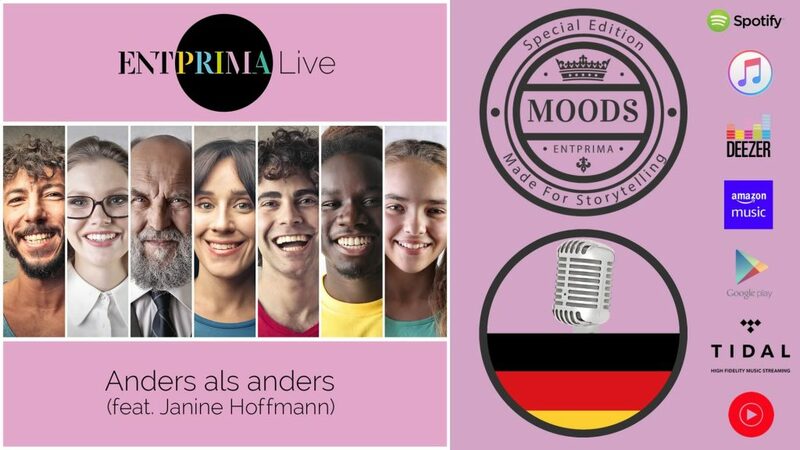 At that time it was supposed to become the band name of a duo based on the example of Rosenstolz, and today it is a Germanpop program of the band Entprima Live. That’s what you call development. And because you want to take development seriously, Entprima Publishing does not release the original yet, but a remix of the title that fits better with the band’s new dance-pop repertoire. In times of the new block head mentality the song is as well a social policy statement for cosmopolitanism and against racism. You can compare the remix with the original on the eponymous album by Janine Hoffmann in the streaming service of your choice. Have fun comparing the versions.